Buying stamps. Mailing Christmas gifts. Sending certified letters. For nearly 50 years, the US Postal Service (USPS® ) has been the one-stop-shop of all things mail, but did you know they can also help you grow your business? It’s true! Whether you’re shipping product or looking for ways to advertise, USPS® offers free consulting to help business owners connect with their customers. To learn more, we sat down with Senior Sales Consultant and Communication Specialist for USPS®, Mitchell Wallace. A native of Charlotte, Mitchell has over twenty years of experience in business development and works with local entrepreneurs to maximize their marketing and growth with the postal service. Read on to see what your hometown post office has to offer! CBR: Tell us more about the USPS®. What do they offer small businesses in Charlotte? Mitchell Wallace (MW): USPS® offers bulk mail and volume shipping services for small to large businesses. Easily print and track labels, schedule pickups, set up commercial forwarding, and manage customer returns. Boost campaigns with targeted advertising and industry insights from marketing and shipping experts. CBR: What advantages are there for small businesses when using USPS® for shipping and mailing? Mitchell Wallace (MW): Free supplies to ship your customer orders domestically and internationally! Get Flat Rate products, shipping labels, and more. CBR: Tell us more about the Informed Delivery app. What does it do, and how can small businesses use it for their mailing and shipping? Mitchell Wallace (MW): Informed Delivery is a free and optional notification service that gives residential consumers the ability to digitally preview their letter-sized mailpieces and manage their packages scheduled to arrive soon. Informed Delivery makes mail more convenient by allowing users to view what is coming to their mailbox whenever, wherever – even while traveling – on a computer, tablet or mobile device. Informed Delivery offers mailers an unprecedented opportunity to engage users through synchronized direct mail and digital marketing campaigns. For items with USPS Tracking®, users will be able to view the delivery status of packages, provide USPS Delivery Instructions™, manage their notifications, and schedule redelivery from the dashboard. CBR: Tell us about opportunities for marketing guidance and direct mail support provided by the USPS®. Mitchell Wallace (MW): USPS® Every Door Direct Mail® (EDDM®) is an affordable targeted advertising technique that lets you map your marketing mail audience by age, income, or household size. You can use the EDDM® mapping tool to choose the ZIP Code™ and carrier route that will target your best possible customers—current and future. The EDDM® mapping tool is easy to use and discounts are available even for small businesses. CBR: If a business wants to talk with someone at USPS® about mailing and shipping rates or marketing services, what should they do? Mitchell Wallace (MW): Contact me, Mitchell Wallace! Call me at 704-975-1861 or send me an email! CBR: Is there anything else you’d like to share? Thank you, Mitchell! It’s amazing all of the resources the US Postal Service offers to small businesses. Learn more about how USPS® can help you by visiting usps.com. CBRBiz.com is your one-stop destination for all things entrepreneurship and business. 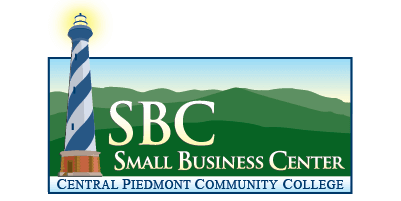 Check out our partners to see all the incredible resources available to small business owners in the Charlotte region.